Two sizes: Lrg 40" x 40" x 1.5" and Reg 26" x 26" x 1.5"
Sea Goddess by artist David Miller. She is beautiful and free, she is the goddess of the sea. 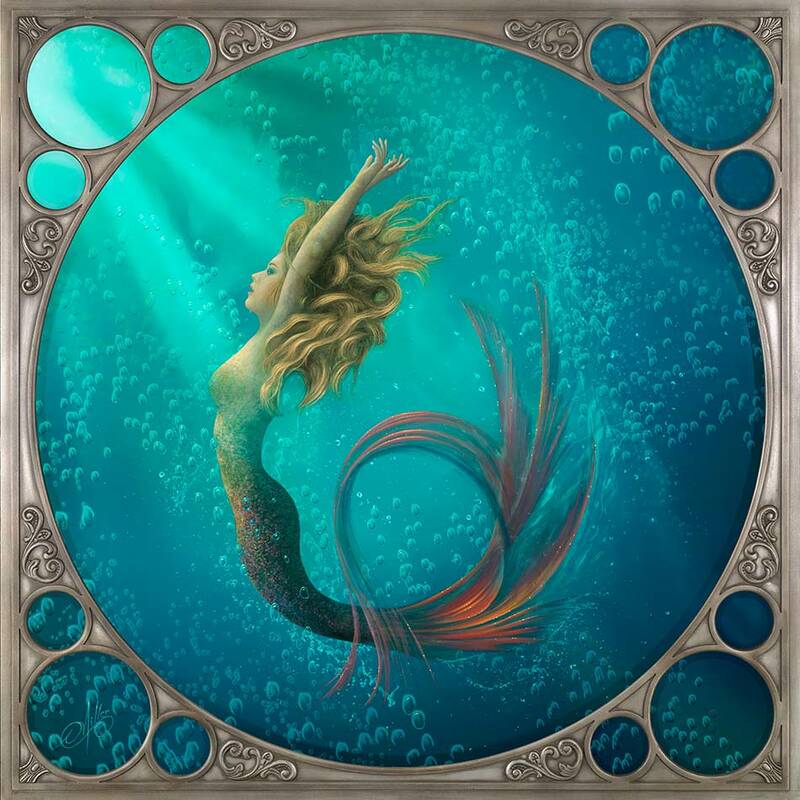 This mermaid painting was painted on 13 individual round canvases, set into a custom frame designed and made by artist David Miller.